Visit two of Britain’s finest UNESCO World Heritage Sites and travel back thousands of years in time as we take you on a journey into England’s prehistoric, Neolithic past before being transported thousands of years forward into its ancient Romans and more recent Georgian history. 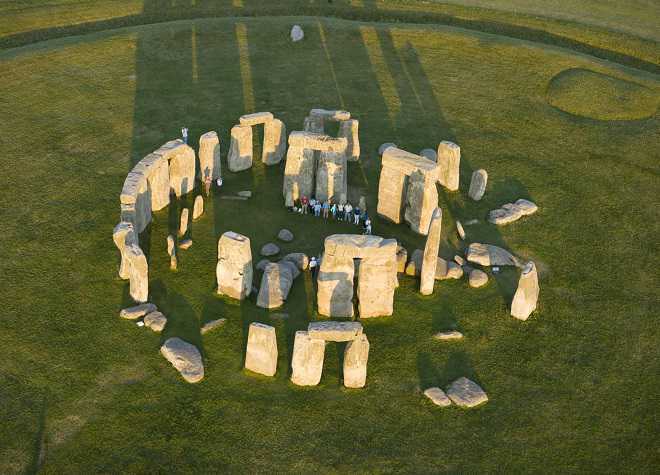 Step back in time 5,000 years as we visit the best-known prehistoric monument in Europe. Take a step inside the reconstructed Neolithic houses, furnished with replica axes, pottery and other artefacts, and listen as our guide brings the fascinating history of Stonehenge to life. 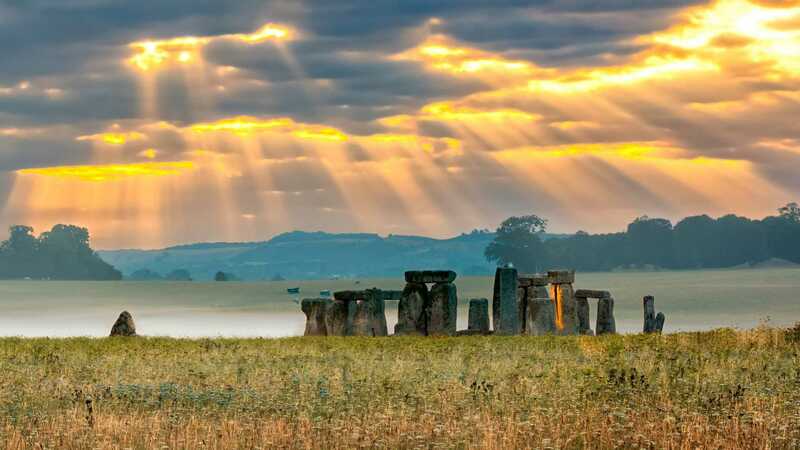 Who built Stonehenge? Why was it built? Discover the answer to these questions and learn how it was constructed using rudimental tools and stone from quarries hundreds of miles away. In the world-class exhibition centre, you’ll get the chance to come face-to-face with a 5,500-year-old man and over 250 ancient objects. 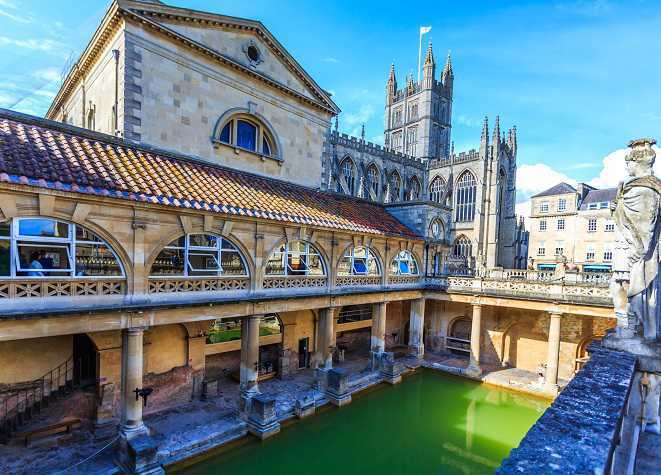 Our last stop will be a scenic tour of the historic city of Bath, originally built as a place of well-being and relaxation by the Romans over 2,000 years ago. Home to the country’s only natural thermal hot springs, Bath is a delightful city where the ancient world is intertwined with threads of medieval and more recent Georgian history. 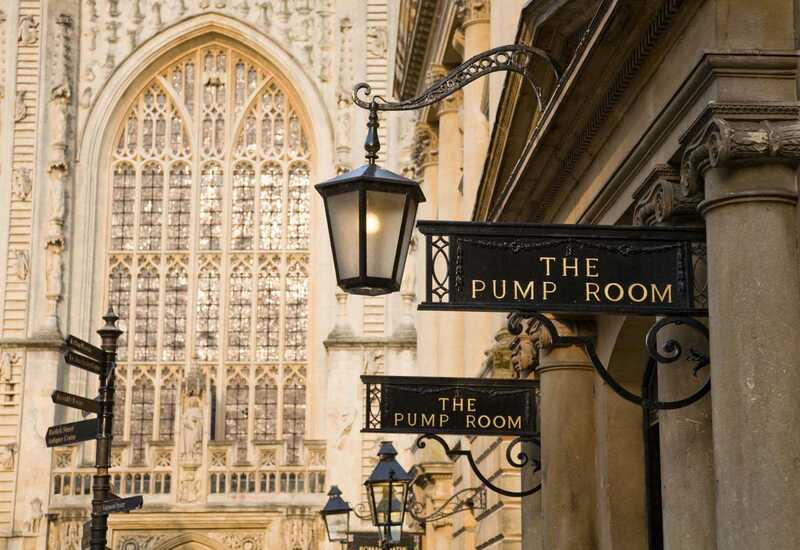 Our scenic drive of Bath provides an excellent introduction to the major sights of this beautiful city, including Pulteney Bridge, The Assembly Rooms and The Royal Crescent. Afterwards, you will visit the famous Roman Baths, home to Britain’s only natural thermal hot springs. The Roman Baths themselves are below the modern street level. There are four main features: the Sacred Spring, the Roman Temple, the Roman Bath House and the museum, holding finds from Roman Bath. The buildings above street level date from the 19th century.